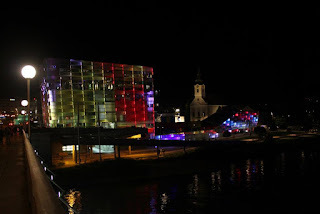 Recently, I visited the Ars Electronica festival in Linz, Austria. This festival is one of the most important and unique media-art events in the world. The festival programs are so rich and diverse that even a full three days are not enough to visit and explore all the components. I experienced many exhibitions, performances, concerts and even parties. For years, I have heard about Ars and its magnitude, but I didn't imagine how big it really is - where the entire city becomes a mix of artists, visitors, media and more. In the first two days, I explored the Ars Electroinca main building. I saw mind blowing projects such as Robots with Artificial Intelligence, sound manipulations and laser shows in the sky. On the third and last day, I visited the Ars Campus exhibition. Every year Ars Electronica gives a rare opportunity to young media artists to introduce their work. For this year, it was students from Israel from a ten leading academic institutions. 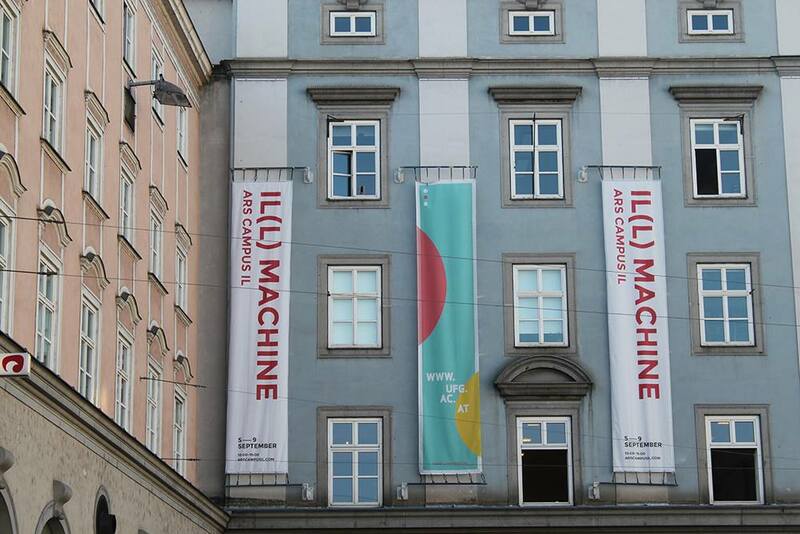 The exhibition was called "IL(L) Machine" and the theme was integration of technology into daily life. It was exciting for me to see how this new generation of artists provides a new vision of art + technology. 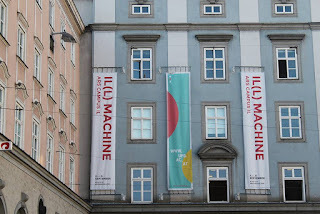 In this exhibition there were interactive installations, robots, workshops and performances. I have seen a lot of technology combined with other disciplines in our life, but here I also had a chance to see the intriguing combination of technology, art, and dance. I came just in time to see the "Wind Chimes" interactive performance. 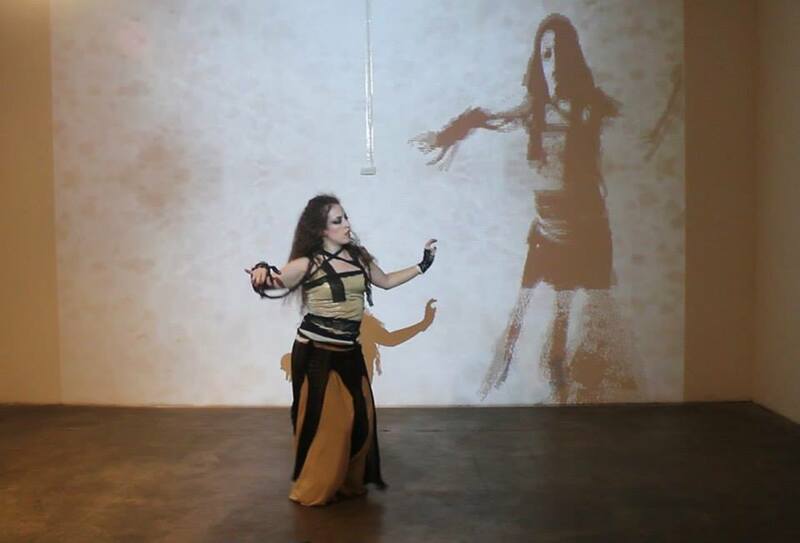 This show is a collaboration between Racheli Dantess and Shimrit Paltin who developed technology called 'DropArt' which takes a live stream from a camera and translates it into beautiful artistic images projected on the wall, to Ella Greenboum (an experienced modern belly dancer). This performance managed to create a combination of a raw and historic movement with new, advanced, and innovative technology. 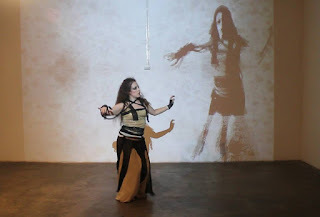 The dancer was interactive with her own figure on the wall creating a very sophisticated dialog which moved the crowd. The imagery which was projected on the wall changed based on choreography and the real-time special effects. It was a unique experience, that left me desiring more. By the end of the show I approached Racheli Dantess, who with her computer conducted the entire show. I was very curious about this technology and how this performance came to life. 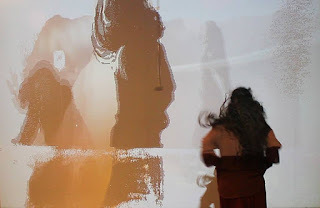 Racheli told me about her background in new media and interactive art and how she and her colleague collaborated with dance groups - to realize how much this combination can be emotional and fascination. "Throughout the process of creating this project, we came aware on how this technology drives a person in front of it to move. Even people like me who don't feel comfortable usually. As long as we continue exploring this combination of tech, art, and dance we realize how much room for creativity it offers and how natural it can feel."